We’re delighted to announce The Log Shed’s newest Depot is opening in Castleford, 1st September 2016 to supply Yorkshires finest Seasoned & Kiln Dried Logs, Log Stores, Baskets and much more. With free of charge delivery within a 25 mile radius, 7 days a week. The Log Shed is a family owned & run, professional business where our products and customer service is paramount. Looking for a Firewood & Log Supplier in Castleford? Well look no further… Our aim is to provide you with the finest quality products, service and speed. Our friendly staff are available 7 days a week to advise you on the best products for your fire to give a fabulous and economical burn. We also offer a ‘deliver to point’ & stacking service. All our wood is delivered in large dumpy bags or stacked wooden crates for ease, convenience and no mess. The Log Shed prides itself on our wonderful product range. We offer quality products that are second to none. From our popular Barrow Bags to our large crates we have prices to suit all budgets and needs. We have Hardwood or Softwood Logs available in stock. Our extensive range of log baskets, log stores and fireside accessories will compliment any fire or stove. Our seasoned hardwood logs are 100% British from sustainable sources. The logs are naturally air dried to an average moisture content of 20%. Our seasoned logs are split, stored in vented boxes, covered and seasoned outside for 24 months to allow the air to circulate resulting in superb quality that are ready for immediate use. Our kiln dried hardwood logs provide a clean burn with maximum heat output. The Log Shed specialises in single species. All woods have different properties, providing a different kind of burn. We can advise you on which species of wood would be best for you making your burn as fabulous and economical as possible. What type of wood do I need? We offer for sale single species of hardwood logs or mixed combination bags of Hardwood. We also have Softwood available. All the different species of wood have very different properties, for example, Silver Birch is very easy to light and will get up to temperture very quickly. To the other extreme Oak is a very slow burning wood making this incredibly economical. We deliver 7 days a week, free of charge within a 25 mile radius. Unlike many log companies delivering nationally, we provide a friendly and personal service. All our deliveries are made in our own vehicles from local depots which avoid UK pallet company delivery charges at exorbitant rates. 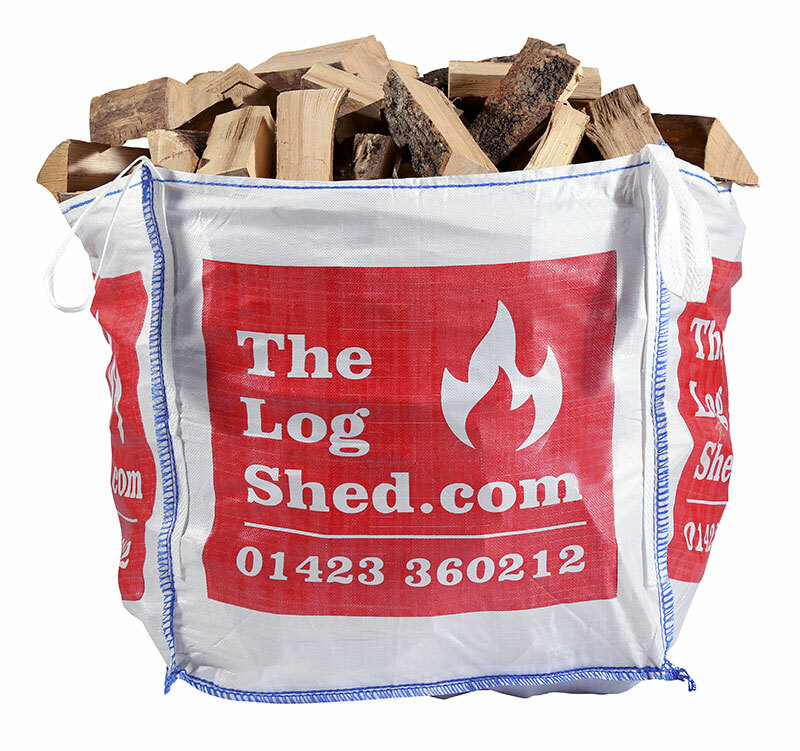 Free delivery really does mean free delivery with the Log Shed, we don’t roll it in the price. With carefully chosen depots providing excellent road links we can pass our savings on to our clients by keeping our wood as affordable as possible to burn.